It has been a while since I've sewn anything for babies, so when I had the opportunity to shower an expectant mother recently, I was eager to sew. I rounded up two existing free patterns, and worked with Patty Young on a third. 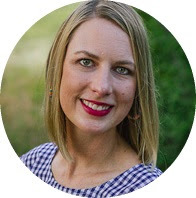 Since the Mother-to-Be has been using birds and butterflies in the baby's nursery, Patty's Flit and Bloom fabric line for Riley Blake worked in beautifully. My mind started spinning with ideas for a hummingbird themed nursery. How cute would that be?!?! Let's start with the newest free pattern for baby. This FREE diaper and wipes clutch includes a velcro closure and front pocket to stash keys or a phone. I love having these diaper clutches to keep stashed in the car or when you no longer need to lug around the full contents of a diaper bag. Find the Free Diaper Pouch Pattern on the Modkid Website. 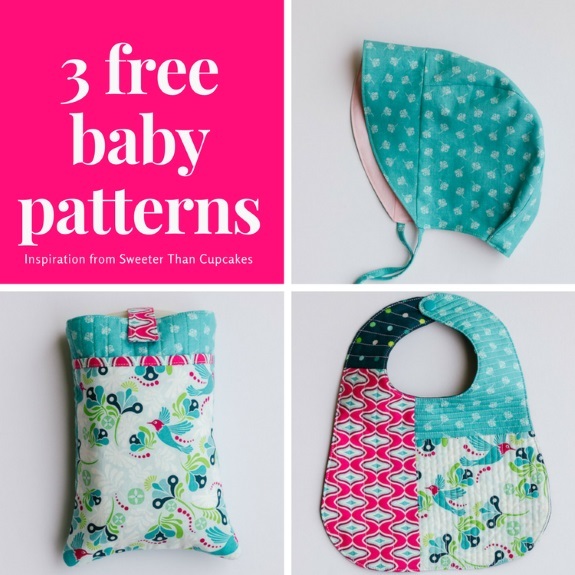 To round out the baby gift, I sought out a couple more free baby patterns. The Purl Soho Baby Sunbonnet is both sweet and functional especially for a baby born just in time for a hot Texas summer. Again, the mother has been seeking out some girly blues to incorporate in the baby's things, so this turquoise print from the Flit and Bloom line felt just right. The lining is a soft pink solid from Art Gallery Fabrics. This next piece incorporates a free tutorial along with a free pattern. The pattern is the Free Baby Bib Pattern from Nana Company. I've used the quilt-as-you go technique from Simple Simon and Co. several times now for baby bibs. The process is so satisfying without feeling overwhelming for a whole quilt. I'm glad to have this little round up of free baby patterns for future baby gifts. 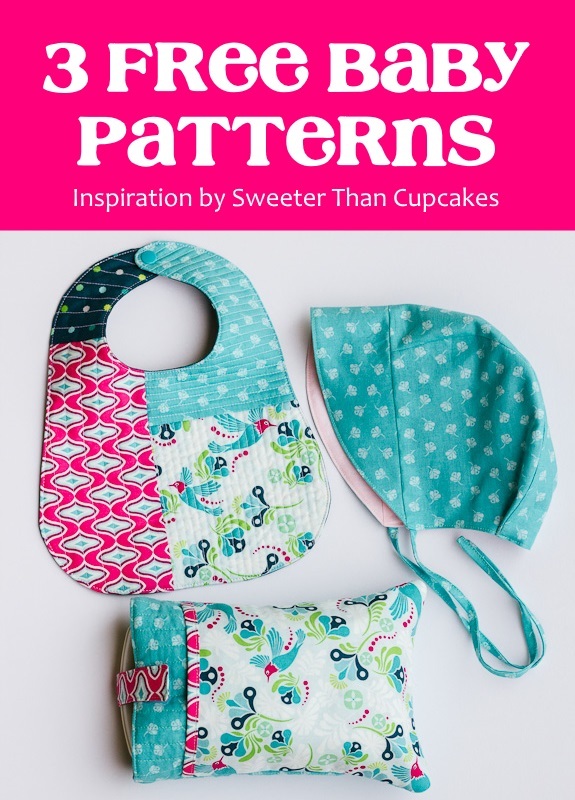 Be sure to Pin an image if you don't have an immediate need for baby patterns. They will likely come in handy at some point!